Over 1000 positive reviews on Amazon.com and they are right! This egg cooker rocks. Cooks perfect eggs, the pin makes peeling the eggs a breeze and it comes with poaching pans for yummy things like Eggs Benedict. I will never go back to that big ol’ pot of boiling water again. 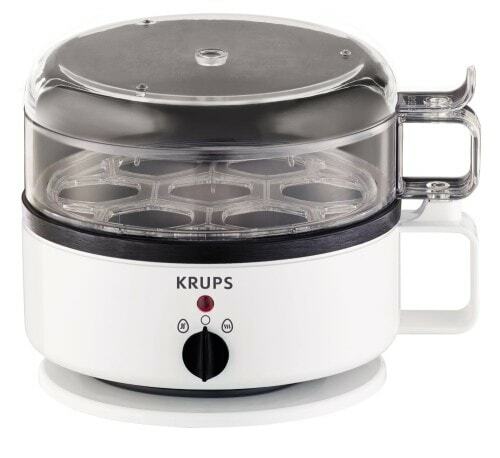 I highly recommend the KRUPS Egg Cooker with water level indicator. At a price that is under 30 bucks this kitchen tool is a perfect gift for any occasion, especially college students, busy moms and newlyweds. It takes up very little counter space and the electrical cord is easily stored with a base designed to keep it snug during storage. 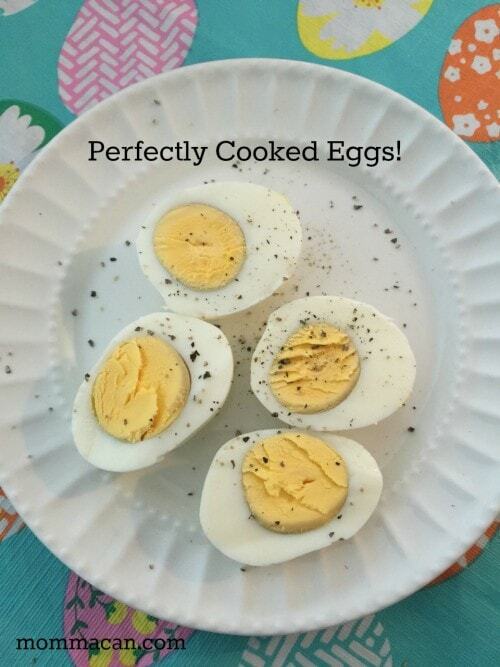 I cooked seven eggs in less than 8 minutes and they came out perfect.